"I'm just going to take one bite"... Oops, that bite became 5, which then turned into the entire pan of brownies, which then spiraled into a negative and guilt ridden attitude for the rest of the night and was the first thing you thought about the next morning; which then turned into 2 hours at the gym, trying to "burn off" the pan of brownies you just consumed. Girl, are you feeling this story? Has it happened to you? Unfortunately, emotional eating is far too common in today's society. I've been a victim of it and I know many of my clients have as well. 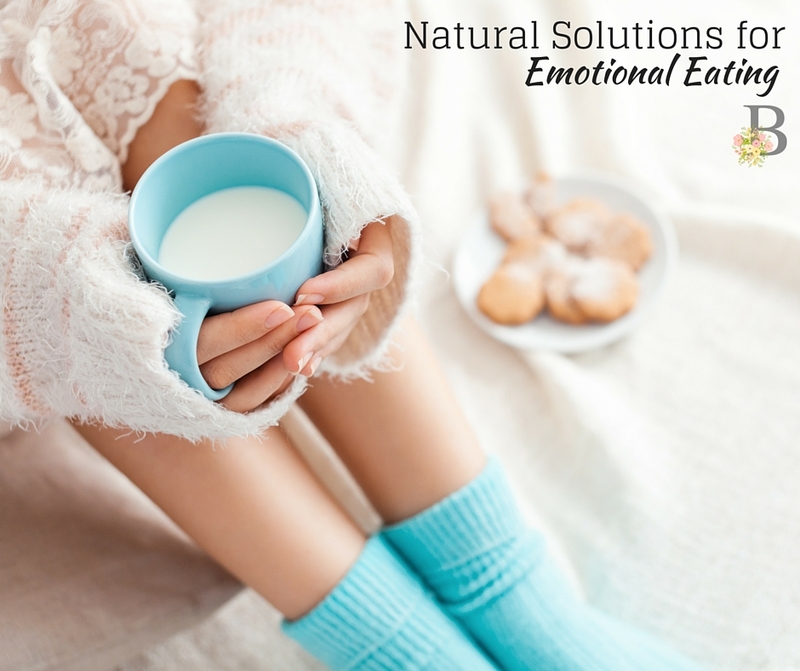 Today I'll be sharing my top 5 natural practices for overcoming emotional eating in a natural and effective manner. It is possible to overcome, I promise. It's going to take your work and discipline, but it will be worth it. Ask yourself, am I hungry (physically) or am I craving comfort for immediate gratification- Many times, women struggling with emotional eating will eat very quickly and large amounts of food with a nervous energy. The taste is not savored, the texture is not experienced, and there is not a physical need for food. Solution: Next time you reach for a granola bar, instead of eating the entire box, ask yourself, am I really hungry right now? How will I feel in 30 minutes after eating this? If you truly are hungry, prepare yourself a simple snack, practice mindfulness, and enjoy your meal. Identify the trigger- When you can identify the emotion that is causing you to feel like you need to binge (i.e. nerves, anxiety, loneliness, depression,excitement, unclarity), you can then replace that emotion with a positive and healthy activity. For example, if you're feeling depressed, recognize that emotion, and instead of grabbing a box of granola bars, call a girlfriend, go for a walk, listen to a podcast, and take your mind off of food. Solution: Identify the root cause. Pray through your emotion, diving deep into WHY you are feeling that way and what steps you need to overcome. Don't beat yourself up- So you slipped. You had 5 bites instead of 1. That's okay, girl. Give yourself some grace and know that you are a work in progress (we all are!) Instead of throwing in the towel and finishing the entire bag, ask yourself, is this worth it? Am I really hungry? Solution: Identify mid-binge and understand that you don't have to finish the entire bag. Replace with healthier options- So you're craving a crunch? Instead of munching down an entire bag of chips, look for that same crunch in healthier options like carrots, celery, popcorn, warm tea, a cozy almond milk steamer, or gum. Solution: Replace your salt/crunch/sweet craving with something healthy. If you're craving sweet, try sprinkling cinnamon and stevia on fresh popped popcorn for a healthy kettle corn feel! Get help- Don't be afraid or embarrassed to ask for help. Family, husbands, friends, or professional guidance is okay! In fact, it's wonderful. Seeking external support, whether it's motivation, encouragement, or counseling, is not a bad thing. Solution: If you need help, get some. Never be ashamed of emotional eating. It's something many women struggle with, but something that you can overcome. Lift up your struggles to our Heavenly Father- He cares for you! Pray through this, girl and implement the natural strategies I've listed above. You are stronger than you think, know this and embrace it. You've got this and I'm here if you need me! You can also catch this episode on our Podcast Show here! Postnatal Must Have: Organic Boba Baby Wrap!